The aim of Finland’s development policy is based on safeguarding human rights. 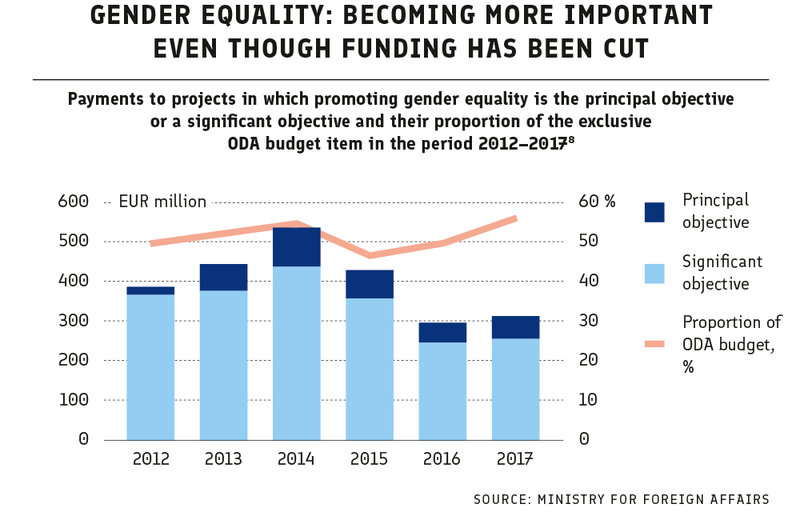 Gender equality, reduction of inequality and discrimination, as well as strengthening of climate sustainability are also to be promoted in all activities. 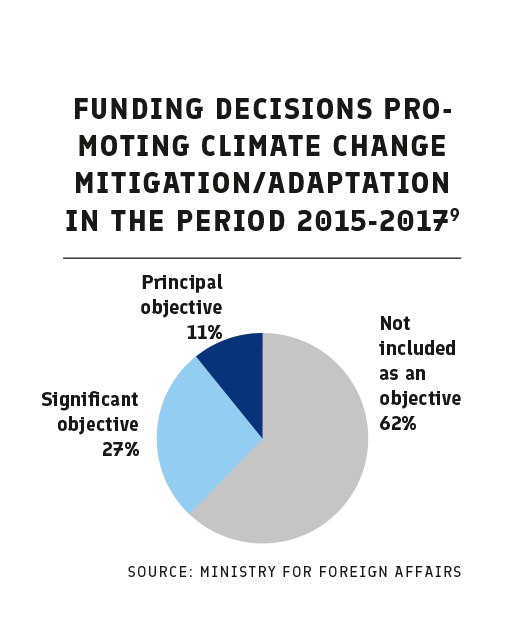 Since 2015, the Ministry for Foreign Affairs has produced statistical information on how the human rights based approach and cross-cutting targets are reflected in the result objectives of new funding decisions. According to the statistics, rights of persons with disabilities have been considered better than assumed, but there is plenty of room for improvement especially in climate sustainability.